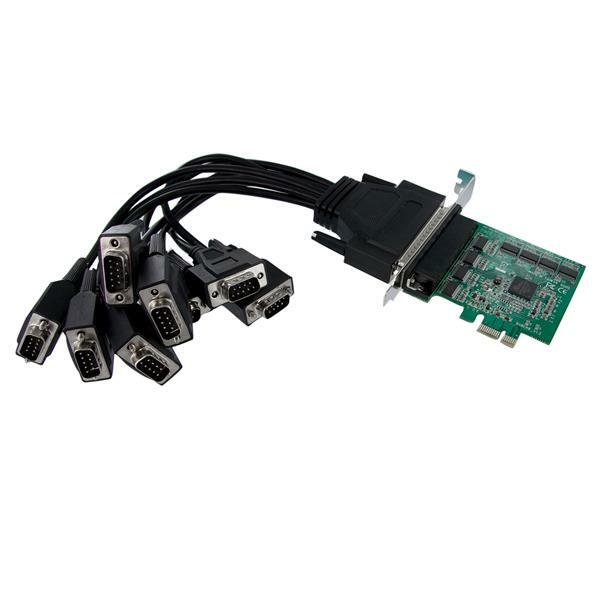 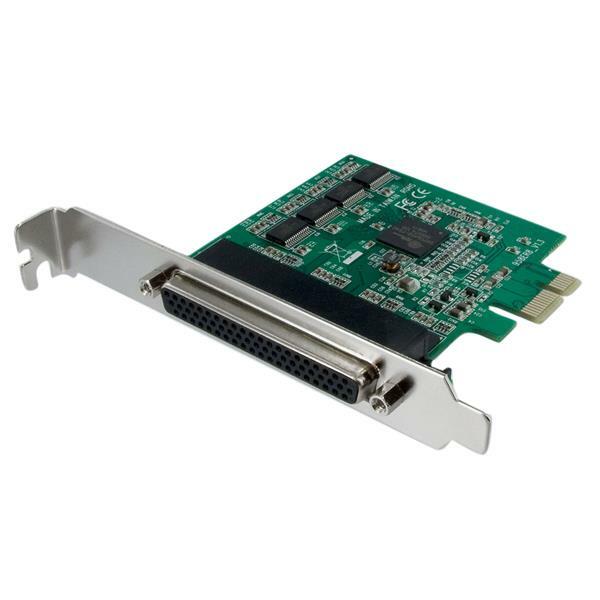 The PEX8S952 8 Port Native PCI Express RS232 Serial Adapter Card with 16950 UART allows you to turn a PCI Express slot into eight RS232 (DB9) serial connections using the included breakout cable. 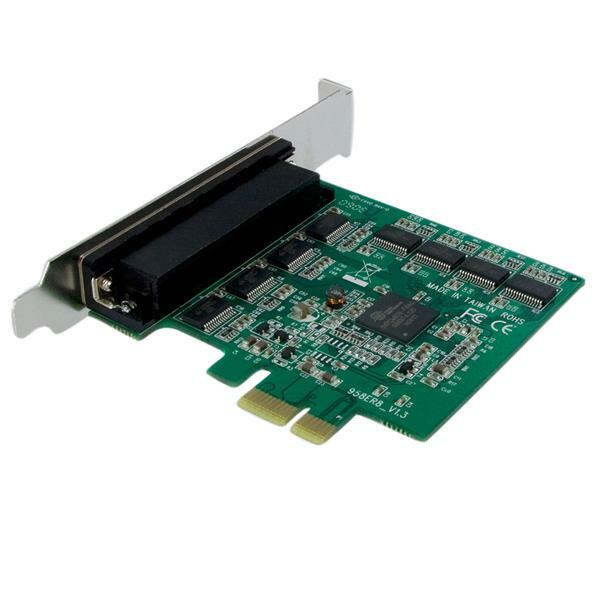 The serial card is based on a native chip design, that allows you to harness the full capability of PCI Express (PCIe) - providing optimum reliability and speed, and reducing the load applied to the CPU by as much as 48% over conventional serial cards that use a PCI to PCIe bridge. 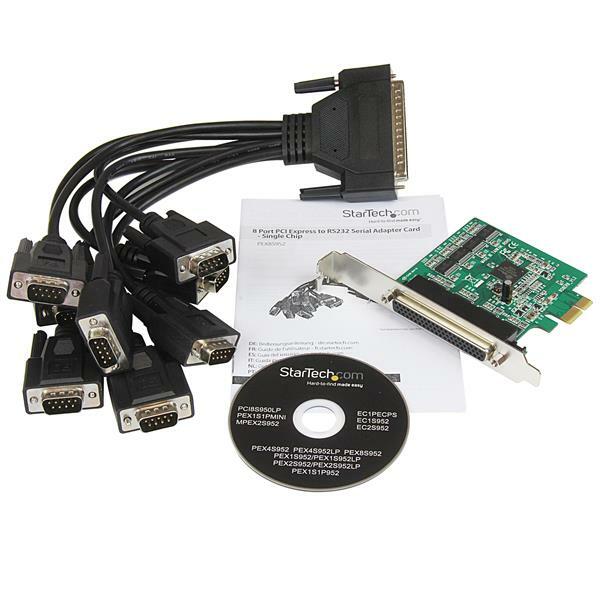 The RS232 Serial Adapter Card is compatible with a broad range of operating systems, including Windows®, Linux, and MAC OS for easy integration into mixed environments.